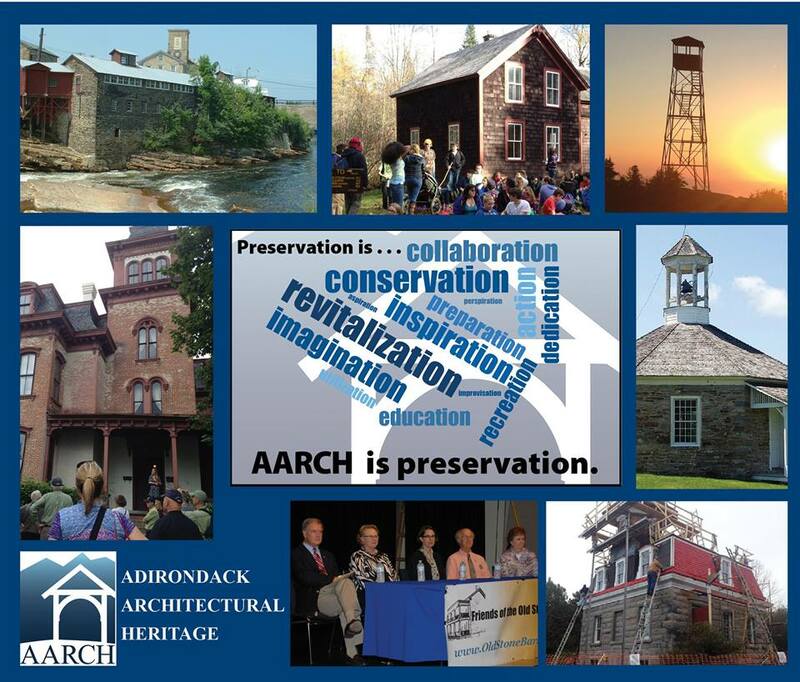 AARCH’s regular activities include: sponsoring a series of summer and fall tours to historic places throughout the region; holding workshops and conferences; giving educational slide presentations; publishing a biannual Newsletter; and providing technical assistance to homeowners, municipalities, businesses and other organizations. 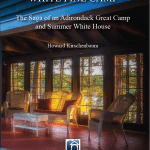 AARCH seeks to find solutions for endangered historic and architectural resources and, for example, was largely responsible for getting the state to change its twenty- year policy of neglect toward Camp Santanoni, a National Historic Landmark, in the Town of Newcomb. Since then AARCH has overseen planning work, ongoing restoration, and a summer interpretive program there through the Friends of Camp Santanoni. AARCH has also sought to ensure a future for Adirondack fire towers by nominating them to the National Register of Historic Places and currently by sponsoring and supporting two fire tower preservation projects, the Friends of Poke-O-Moonshine and the Friends of Hurricane Mountain. AARCH also has a small publishing program, which seeks to publish books and other materials related to the region’s architectural history and legacy. 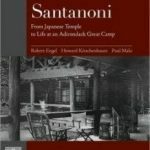 In 2000, AARCH published Santanoni: From Japanese Temple to Life at an Adirondack Great Camp by Rob Engel, Paul Malo and Howie Kirschenbaum. In 2006, AARCH published Adirondack Churches: A History of Design and Building by Sally E. Svenson. 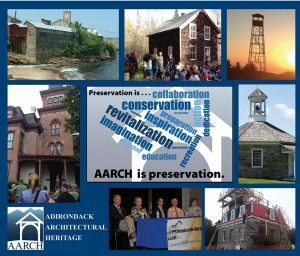 In 2017, AARCH published A Guide to Architecture in the Adirondacks by Richard Longstreth. AARCH also maintains a growing resource center at its office in Keeseville. The collection includes books, other publications, clippings, correspondence and other printed material, photographs, and a collection of more than 5000 slides. The focus of the collection is materials that relate to the region’s architectural heritage, to the study of architectural history, in general, to historic preservation, and on resources on local and regional history. These materials are used by AARCH staff for research, for planning public educational events, for publications, and for providing information to members and others researchers. AARCH’s 25 years of work and accomplishment was recognized in 2015 when the National Trust for Historic Preservation awarded AARCH the prestigious Trustee’s Award for Organizational Excellence. AARCH is a 501 (c) 3 nonprofit corporation and a registered New York State charitable institution.